It is with great excitement that Your Housing Company is announcing the launch of this perfectly located new phase of the Devland development situated on Jan De Nekker Drive Soweto. Devland “your link to the city” is located on the Gauteng’s Golden Highway, which makes it a very attractive neighborhood for residents who need to get into Johannesburg’s CBD. An extensive commuter bus and taxi system service the area, giving it the thumbs up when it comes to location, location, location. 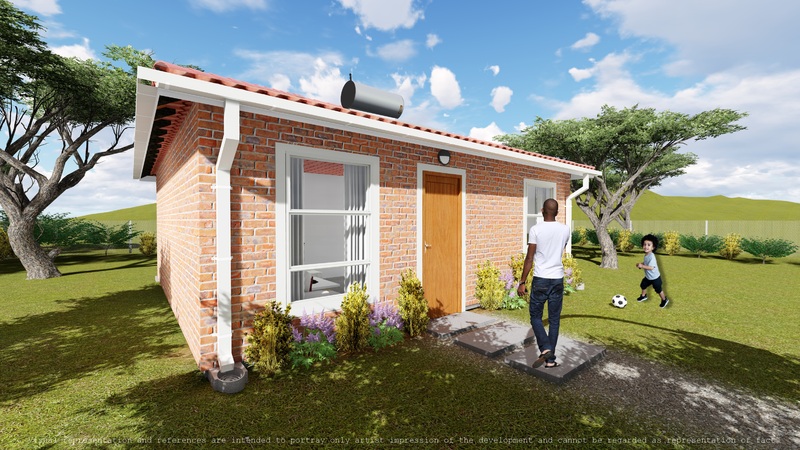 New homes in Devland sell from: R389 000 for a 40m² gable style home that has 2 bedrooms and 1 bathroom, and 3 bedroom 1 bathroom homes selling from R539 000 for a 55m² home. To qualify for a starter home selling at R389 000, you will need a combined gross monthly income from approximately R14 500. Depending on the interest rate you receive from the bank, the monthly repayment for this home will then be R4 212 per month on a 20-year loan. 1. You choose a house and a stand. Loan application with all the major banks. Bond and transfer of ownership fees. There are also FLISP housing subsidies available in Devland. Click here to find out more about FLISP. Now is the time to buy in Devland! Housing development is booming in and around the Devland area and the cost of land is sure to escalate, constantly driving property prices up. Your home’s value and equity will grow along with the increase in property prices in the area.